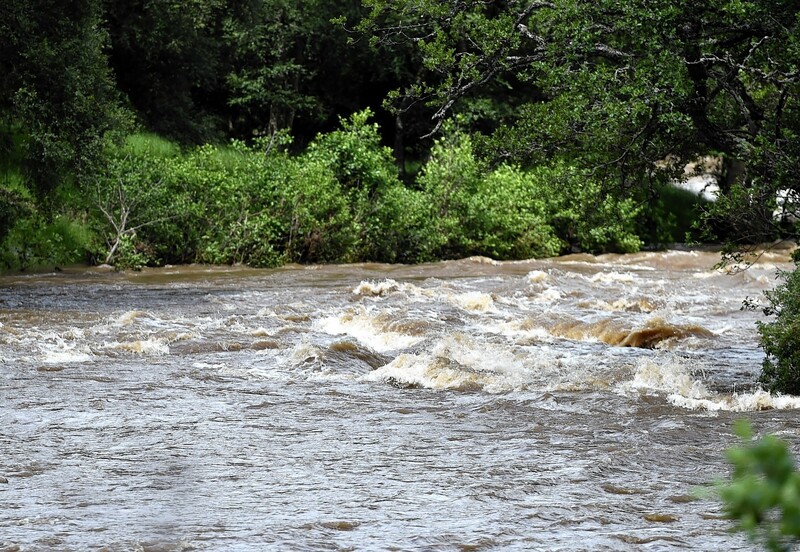 An angler stranded on a tiny island feared he would die as torrential rain turned a river into a raging torrent. Holidaymaker Michel Morin shouted and waved his rod to raise the alarm as rising waters threatened to engulf his tiny refuge. His cries were heard by a passerby and a coastguard search and rescue helicopter was scrambled to the River Avon in Glenlivet. Police, fire brigade and ambulance crews were also called to the scene and Mr Morin was airlifted to safety. 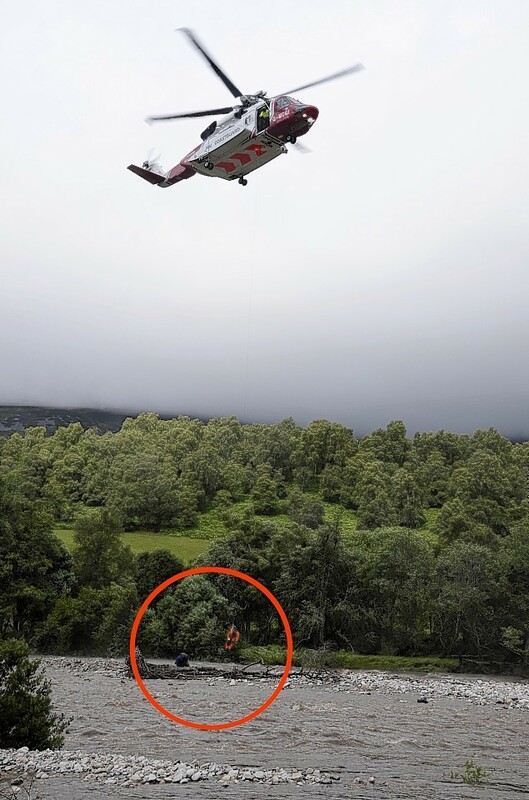 Last night, the 73-year-old Frenchman said he was grateful to his rescuers. Mr Morin was fishing on the Avon yesterday morning when heavy rainfall over the Cairngorms caused water levels to rise rapidly on the Spey tributary. 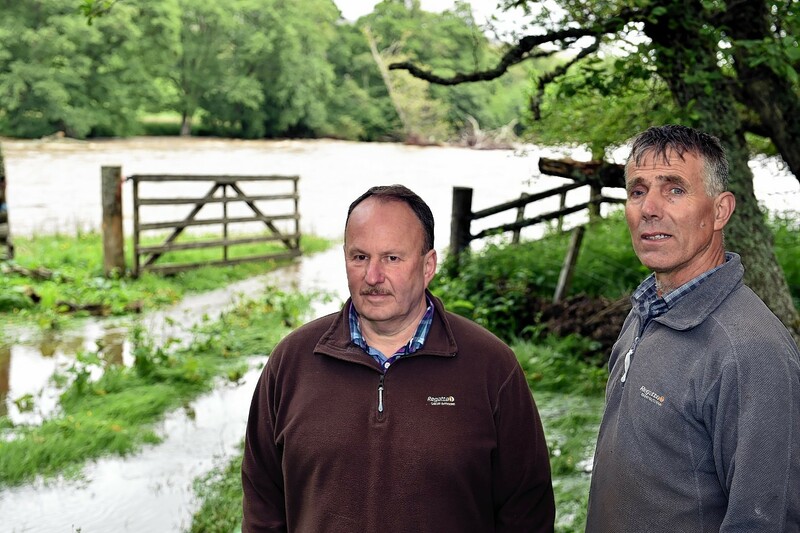 Jim Hope, left, and Gerald Stewart, right, beside the River Avon at The Dell Farm, Kirkmichael, Glenlivet, after the rescue. 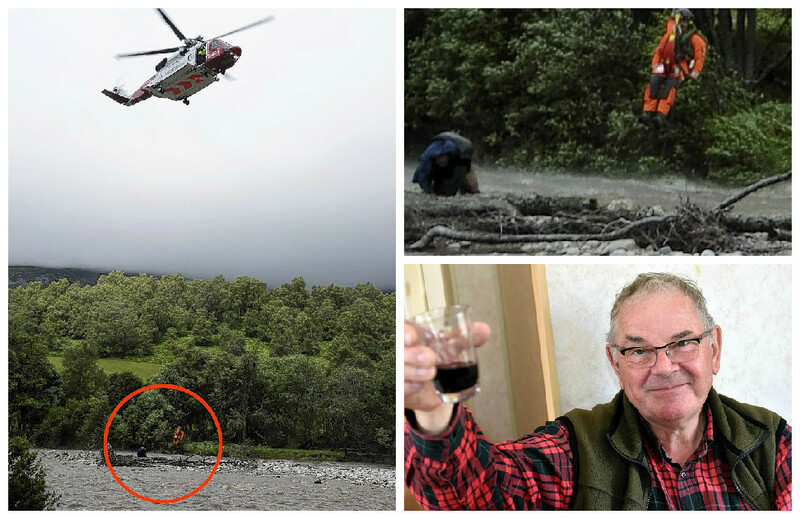 Michel Morin, fisherman who was rescued by helicopter from the River Avon at The Dell Farm, Kirkmichael, Glenlivet. He was able to scramble on to a small island and as the river threatened to swamp it he shouted for help. He eventually managed to attract the attention of passerby Jim Hope, who was visiting a riverside farm in the Kirkmichael area, and he alerted the emergency services. Mr Morin said yesterday he was thankful to the crews who rescued him from his “very worrying” predicament. He said: “I realised the watermark was quickly rising while I was fishing, and I made my way on to the island – but the water was still going really high and fast. “I became very worried and I’m very lucky Mr Hope heard me shouting. “I had to leave my rod and bag on the island, but if they have been washed away that is ok – because I am alive. “I have been visiting Scotland for 40 years and I will be back next year. 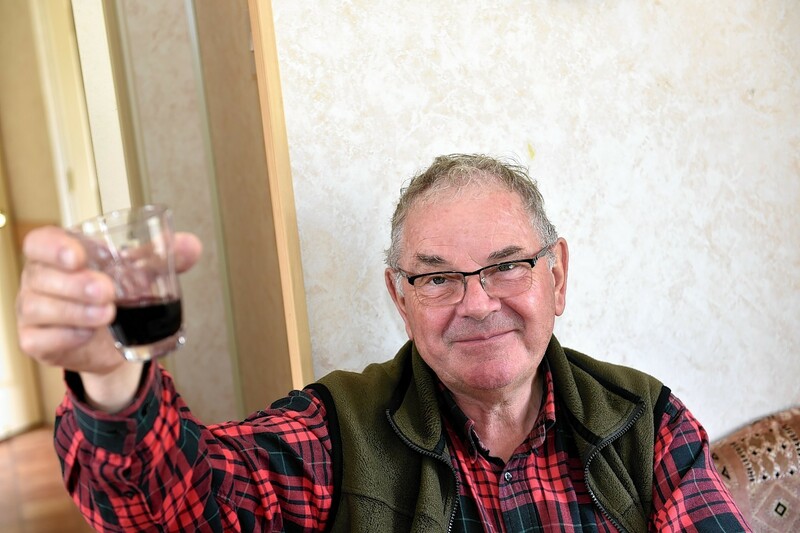 Mr Hope, who regularly visits friend Gerald Stewart at the Dell Glenlivet clay pigeon shooting ground by the river, said it was pure chance the holidaymaker was saved. Mr Hope said: “It was about 10am when I first saw the angler, but the river was at a normal level at that time. “Then when I reached Dell Farm later in the morning I noticed him shouting and waving his fishing rod, and quickly got Gerald’s attention. Farmer Mr Stewart, who is also chairman of the Strathavon Farmers Angling Association, added: “When I saw Mr Morin in the river I realised it was in full flood, and rising. “In just 15 minutes it must have risen about 5ft, it was unbelievable. Coastguard teams arrived shortly before 11am and plucked Mr Morin to safety. Angler David Barnes was fishing upstream in the Avon at the time. The River Avon at The Dell Farm, Kirkmichael, Glenlivet, after the rescue. Mr Barnes said: “I’ve been fishing here for 43 years and this is the first time I have seen the water rise so quickly. A police spokesman said: “We received a call reporting a man trapped on an island at 10.55am, and a coastguard helicopter was used in the rescue effort. 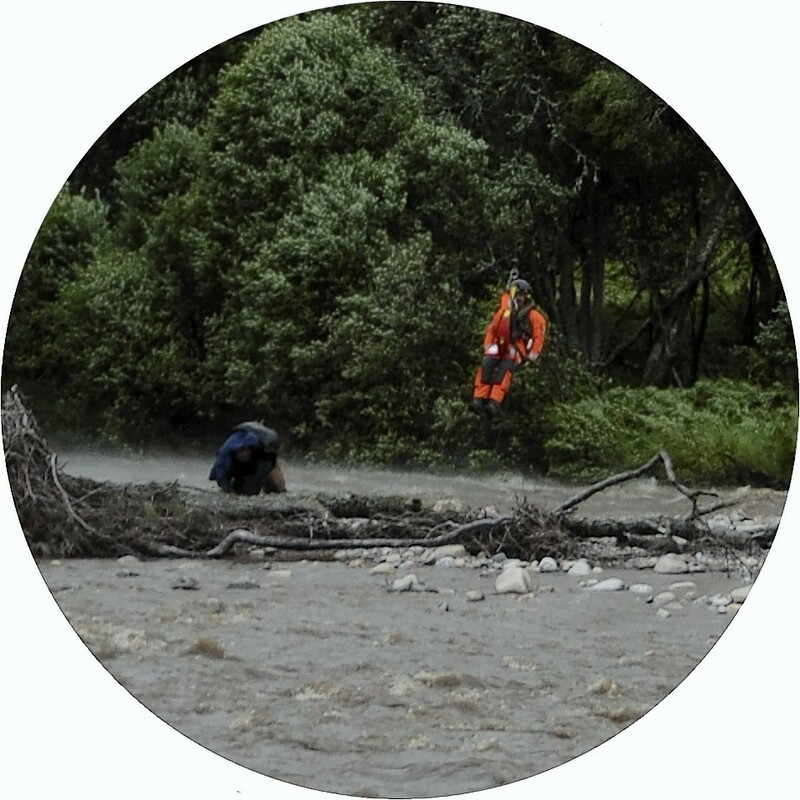 “At about 11.30am the man was lifted from the island and dropped off by the riverside. The River Spey has a reputation as the fastest flowing in Scotland. Last August, a 60-yard stretch of the B9136 Avonside road, near Tomintoul, was destroyed after more than a month’s rain fell in just 24 hours and the swollen River Avon swept away part of the carriageway.